St Enda’s advanced to the semi-final of the AIB Ulster Intermediate Football Championship and a meeting with Tyrone champions Tattyreagh after defeating Monaghan champions Doohamlet 2-15-3-05 at Corrigan Park this afternoon. The Hightown men started the stronger but were pegged back 0-05-1-02 after referee Dan Mullan adjudged that Odhran Eastwood had blocked Kevin McArdle’s shot with his foot in the area and Barry McBennett converted the resulting penalty. But before the break Kristian Healy shot to the net to give St Enda’s a 1-07-1-02 lead at the break. Doohamlet made a bright start to the second period as substitute Oisin O’Neill shot to the net, however St Enda’s responded and looked safe at 1-12-2-05 ahead with ten minutes remaining. 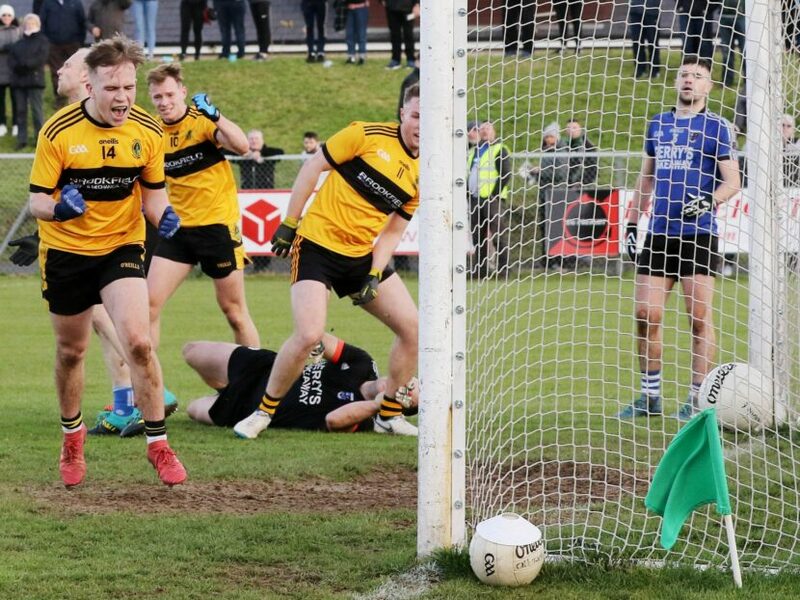 It was game on again as Jamie Walshe fisted to the net to reduce arrears to a point (1-12-3-05) with little over five minutes remaining – but Ruairi Scott would settle the nerves late on and follow in the footsteps of Walshe; palming the ball home to give his side a 2-15-3-05 win and secure their place in the last four. It was St Enda’s who hit the front on a fine winter afternoon at Corrigan Park – inside of four minutes Ruairi Scott’s free dropped short into the hands of Odhran Eastwood who shot between the posts. Eoin Nagle doubled his sides lead – firing high over the top with a goal chance on. Both goalkeepers were called into action early on – Paddy Flood fumbled Barry McGinn’s low drive and was fouled in the aftermath, then Ruairi Scott’s popped pass released Eoin Nagle who was superbly denied by Doohamlet shot stopper James Casey. By the midway point St Enda’s were 0-03-0-00 to the good thanks to Peter Healy’s point, Doohamlet responded with an incredible score from Barry McGinn. 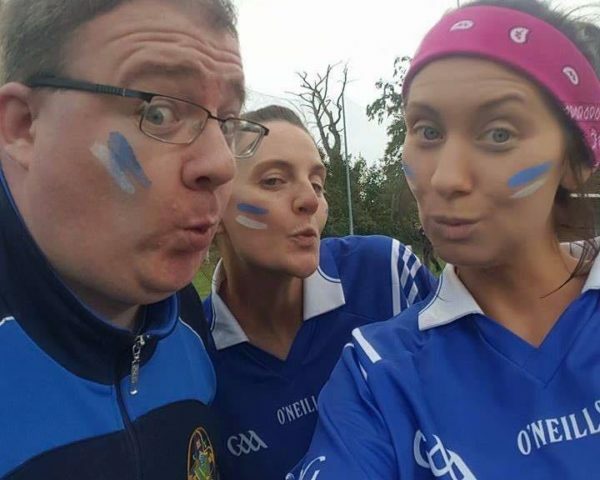 The Monaghan champions almost hit the front as Kevin McArdle picked out Jamie Walshe and the midfielders ferocious drive crashed off the bar and back out to safety. Instead St Enda's increased their lead through Conan Lyttle and an inspirational curling point from Joe Maskey from almost 45-yards from goal. Barry McBennett replied for Doohamlet to make it 0-05-0-02 and with six minutes to the break Hamlet’ had the chance to level as referee Dan Mullan felt that Odhran Eastwood had blocked Kevin McArdle’s shot with his foot in the area – much to the dissatisfaction of the Hightown natives. Barry McBennett took responsibility of the spot-kick and confidently tucked it into the corner of the net past Paddy Flood to level at 0-05-1-02. Eastwood atoned for his penalty concession, converting a 27th minute free for his sides first score in eleven minutes. Joe Maskey’s 16th minute score moved his side four points ahead and St Enda’s restored their four-point advantage in the aftermath of Eastwood’s free. 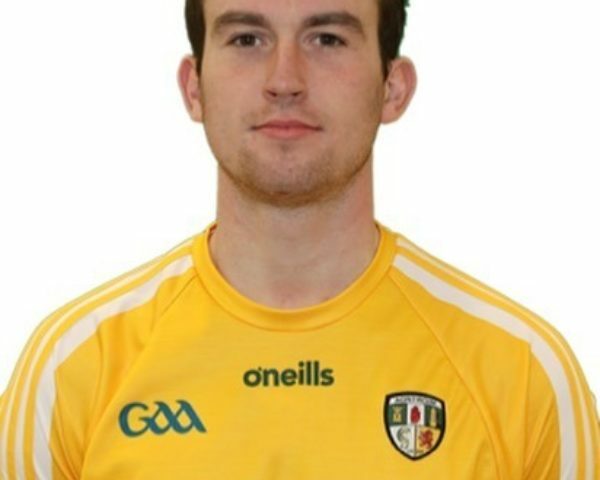 James Casey’s resulting kick-out was turned over by Ruairi Scott who fed Kristian Healy and Healy confidently burst forward and picked his spot low in the bottom left hand corner of the net to move his side 1-06-1-02 in front. Eastwood converted a further free in the aftermath and at the interval St Enda’s were 1-07-1-02 to the good. Within sixty seconds of the restart Doohamlet were back in the game – Kevin McArdle’s half time replacement Oisin O’Neill claimed a high ball into the St Enda’s area and rifled past Paddy Flood to make it a two-point game (1-07-2-02). Kristian Healy fisted the ball over the bar in response and Eastwood converted a further free in between a Barry McBennett point to move Enda’s 1-09-2-03 ahead ten minutes into the second period. Though with 13 minutes remaining only the minimum seperated the sidesas two splendid Barry McGinn points on the spin kept Doohamlet in contention. For the third time in the game St Enda’s moved four-points to the good – Eoin Nagle burst through and pointed and Ruairi Scott palmed over the bar after smart work from Kristian Healy. Substitute Ciaran O’Neill’s point had St Enda’s 1-12-2-05 to the good and the Hightown men looked set to advance to the last four. However with six minutes remaining a grandstand finish was on the cards – Barry McBennett picked up possession and his ball was intercepted by Barry McGinn whose pass across the face of the St Enda’s goal was scrambled to the net by Jamie Walshe to make it 1-12-3-05. St Enda’s demonstrated their resilience and character though as Peter Healy popped over his second point of the afternoon and Kristian Healy pointed from an acute angle after Joe Maskey’s pass. With two minutes remaining St Enda’s secured their semi-final berth – Eoin Nagle burst through and his attempted point caught in the wind, Doohamlet shot stopper Casey misjudged the flight of the ball and Ruairi Scott’s palmed effort sailed slowly to the net to move his side 2-14-3-05 in front. Doohamlet required a big finish but substitute Ted Duffy’s driven shot was turned away by Paddy Flood. Joe Maskey finished the job late on – using his strength to burst through and fist over the bar to give his side a 2-15-3-05 at the conclusion. 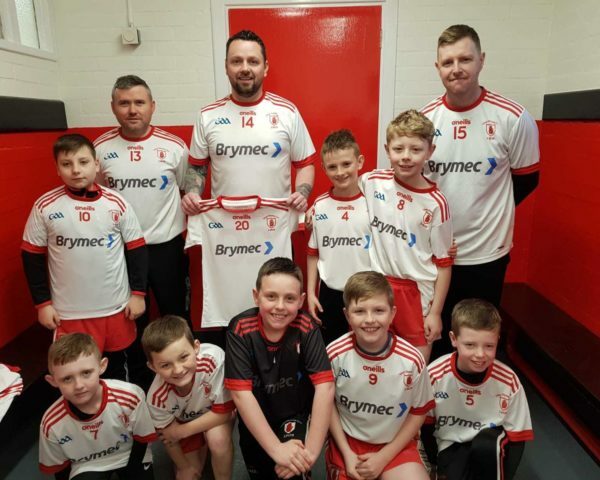 The Hightown side advance to meet Tattyreagh in the last four and on today's evidence can be confident of mixing it up with the Tyrone champions. St Enda’s: P Flood, K Jennings, M McNamee, C Eastwood, C Lyttle (0-01), J McAuley, C McAuley, P Curran, J Maskey (0-02), P Healy (0-02), R Scott (1-01), K Healy (1-02), D Walsh, O Eastwood (0-03f), E Nagle (0-03). Subs: C Ross for C Eastwood (30+1 mins), E Gibson for P Curran (31 mins), C O’Neill (0-01) for D Walsh (31 mins), R Kennedy for C Ross (37 mins). Doohamlet O’Neills: J Casey, M Hughes, C Murray, G King, J McElroy, R Ingram, D Ward, J Walshe (1-00), C McManus, K McArdle, B McBennett (1-02, 1-00f), H McGinn, N Connolly, P McArdle, B McGinn (0-03). Subs: O O’Neill (1-00) for K McArdle (31 mins), S Markey for D Connolly (34 mins), C McKenna for R Ingram (41 mins), T Duffy for H McGinn (46 mins), J Duffy for N Connolly (53 mins).